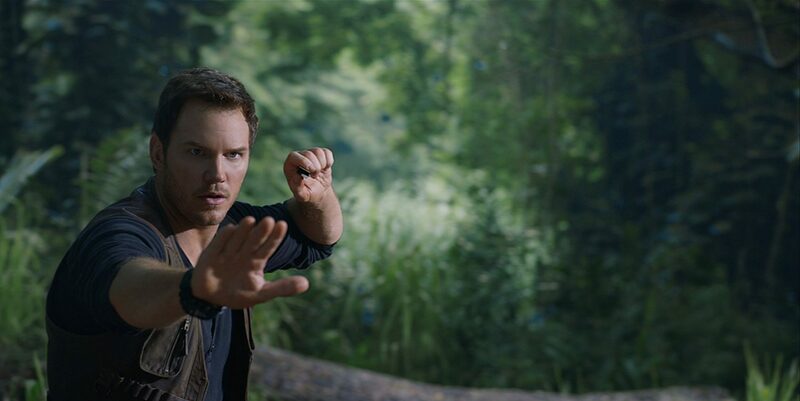 This film has a gre at plotline and gives each character lots of personality. The plotline becomes even more interesting because of all the strong personalities. 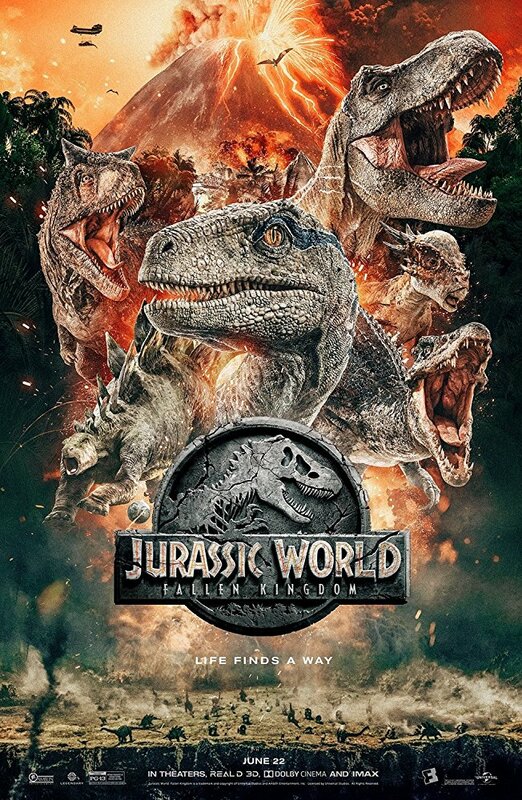 Even though this film is meant for younger ages, I still was quite entertained. L aetitia Lefebvre has a determined and strong child-like voice which perfectly fits Ruby because Ruby has all of these traits. Ruby at times can sound very stubborn, scared, determined and strong. The Black Baron (Tom Wayland) sounds determined as well. The Black Baron is a very manipulative character and Wayland changes his voice accordingly. For example, he can sound convincing, caring and sweet, but also ominous. 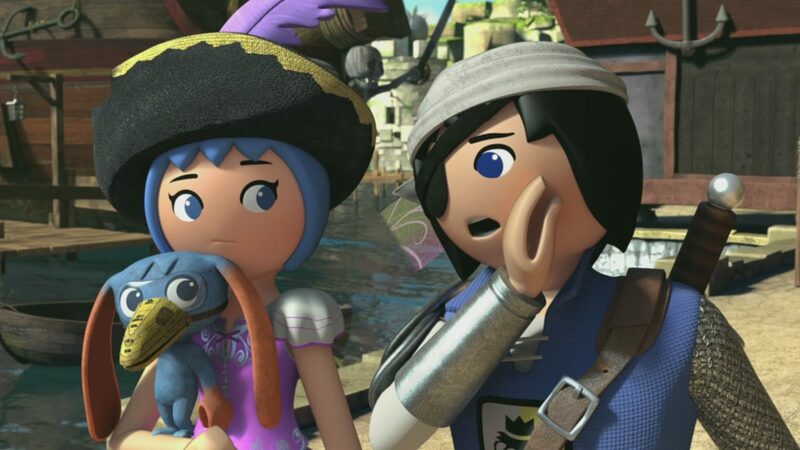 My favorite scene is when Ruby smartly doesn’t get distracted by the Black Baron whe n he wants to steal the treasure. I felt really proud of her and I knew that she was fit to become a knight. 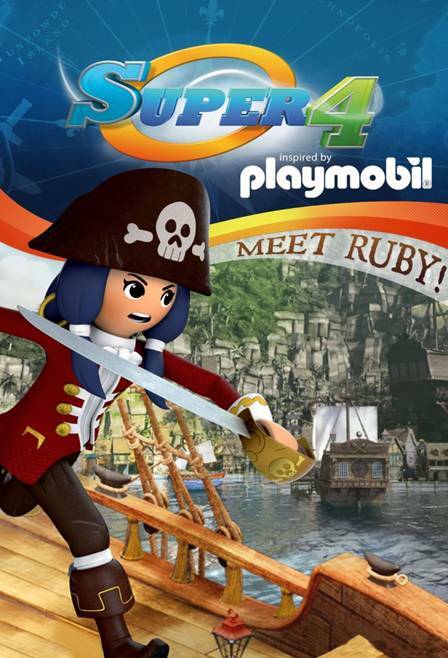 My favorite part is, without a doubt, when Ruby has a battle and wins all the challenges she encounters. 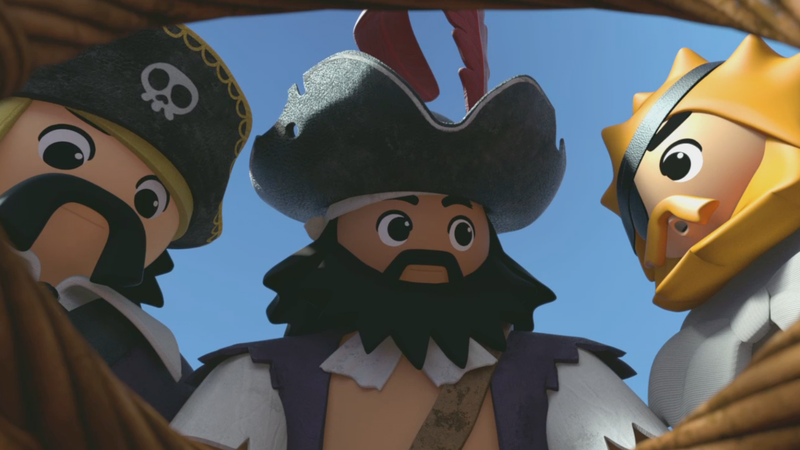 She defeats the men and th e leader of pirates! I love all the action and how she does a super funny victory dance after her victory! That is definitely my favorite part! 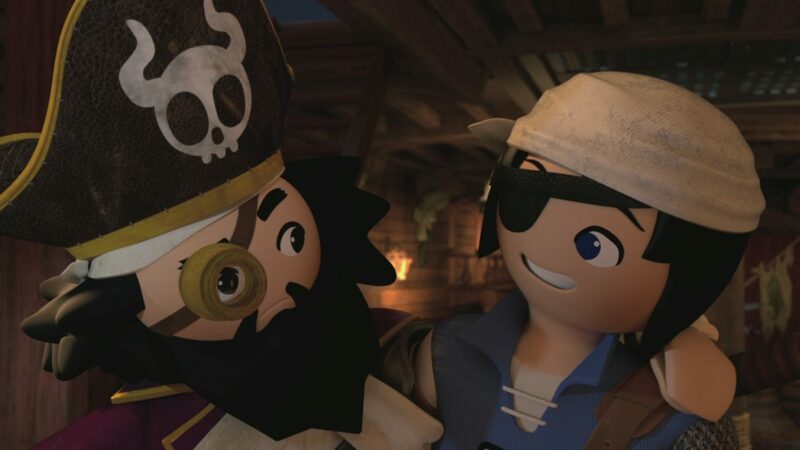 The lead characters in this series are Ruby the brave and bold pirate (Laetitia Lefebvre), Gene the Genius and serious technology loving kid (Frank Lorrai), Twinkle the adorable fairy (Sarah Natochenny), Princess Leonora the beautiful ,demanding princess (Alyson Leigh Rosenfield), Alex the energized, encouraged kid (Billy Bob Thompson), Various the evil stealer (Veronica Taylor) and many more. The message of the film is that girls can desire to be anything that boys can! If you just believe in yourself, everything will fall into place. For example, Ruby goes out and fights hard for who she aspires to become. She does not give up until she has accomplishes her goals. Why can’t women be leaders? Yes, we can! Don’t put any limitations on what you think you can do or be. Definitely this espouses girl power! Enjoy the complete season of ABC Monsters! Embark on one phonics adventure after another while learning each letter of the alphabet in this complete set! Twenty six cuddly ABC Monsters live within the walls of Capital Castle. Each monster represents a letter of the alphabet but should any of the monsters go missing for longer than a day, all the letters will be wiped out from every book in Capital Town! So it’s very important to make sure that all the ABC Monsters are safely back in Alphabet Gardens before the sun goes down. However, this isn’t as easy as it sounds. The ABC Monsters are naturally curious creatures and often wander off from Alphabet Gardens to try and find new and fun items, inevitably getting themselves lost in the process. When Alice, Brian and Cherry Berry set out to find the ABC Monsters, they learn to spell multiple items that start with that ABC Monsters letter as well as play other phonics games and sing songs! Get set for a spellbinding series of magical adventures that engages the imagination all while making learning the alphabet exciting and entertaining! KIDS FIRST! Film Critic Ella L. comments, “ABC Monsters: The Complete Season is a fun and educational experience for young kids. It inspires them to learn, enjoy learning and even encourages them to participate in physical activity. It is creative and interesting all the way through.” Tina B., KIDS FIRST! Adult Juror adds, “Learning can be fun! ABC Monsters: Complete Season DVD is quite an exciting tool for learning the alphabet, learning new words large and small, solving puzzles, writing, learning about directions (north, south, east, west) and the characters teach children about the importance of teamwork.” See their full reviews below. 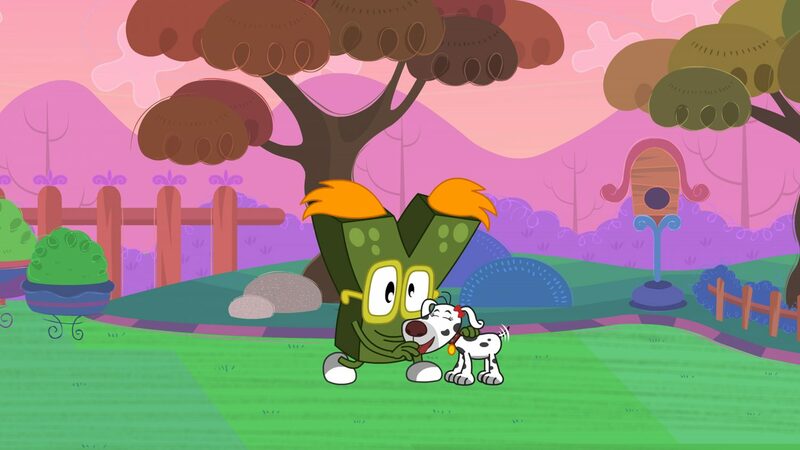 ABC Monsters: The Complete Season is a fun and educational experience for young kids. It inspires them to learn, enjoy learning and even encourages them to participate in physical activity. It is creative and interesting all the way through. If I was a parent, I would use this DVD to help me teach my kid about the alphabet and early language skills. I have reviewed other episodes of ABC Monsters previously and enjoy how each episode is different. For example, one of the episodes is based on introducing kids to the letter “A.” In this episode, the Alphabet Monsters are so excited about the archery competition when suddenly, all the arrows go missing! 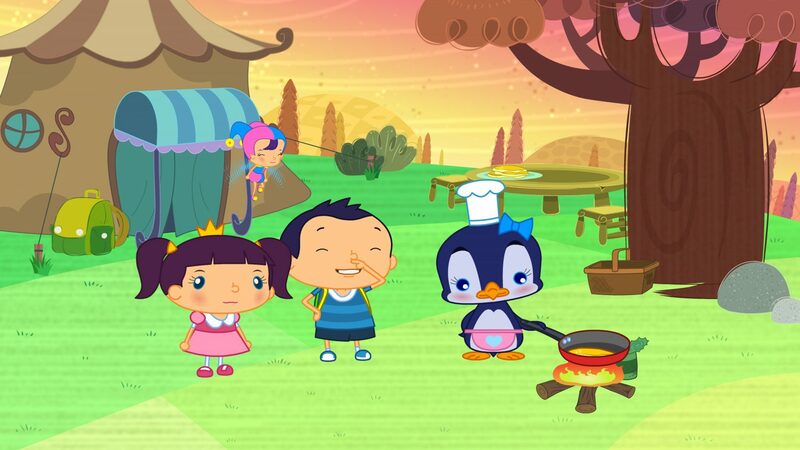 Alice, Bryan and Cherry Berry (the protagonists) go on a mission to find the missing arrows and the missing letter of the alphabet, which just so happens to be Letter “A.” On the way, they go on a lot of mini quests such as helping Amy the Alligator find her armband and help Farmer Alex find his apple. 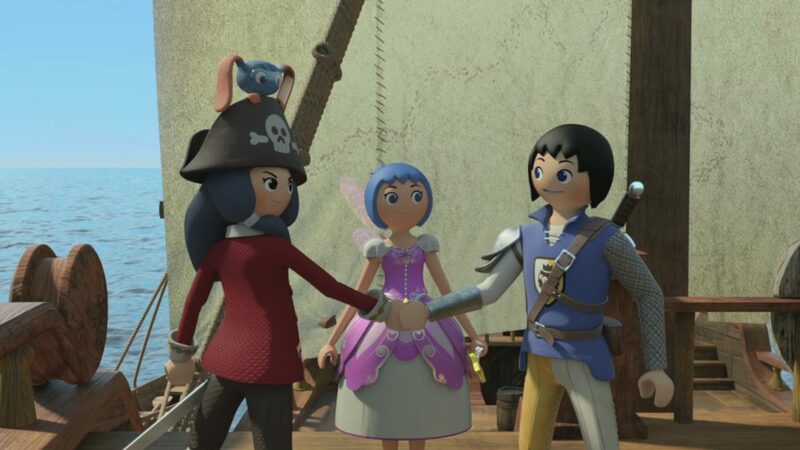 At the end of the episode, Alice, Bryan and Cherry Berry review everything we learned in the episode and include fun little songs and dances for us to do and sing. Everything about this show is child friendly and appropriate for a young age group. The storylines are consistent without being repetitive and are quite easy to follow. 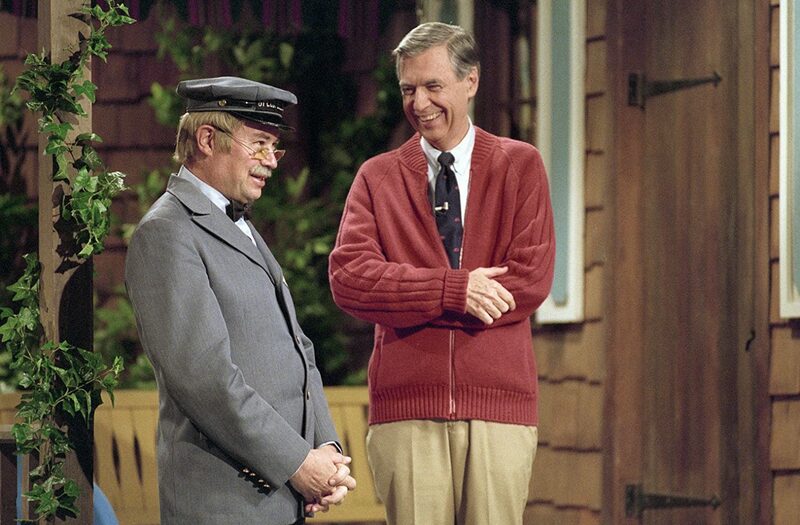 This show would be very entertaining for young kids. The visuals are bright and colorful which will attract young viewers. The music is upbeat and cheery. 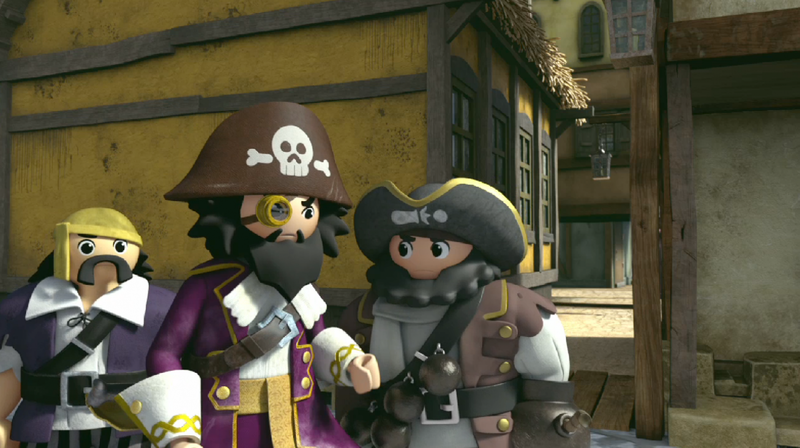 The characters are adorable and likable. I think that all of these aspects are important in order for kids to enjoy watching a program. I giv e this DVD 5 out of 5 stars and recommend it for kids ages 1 to 5. 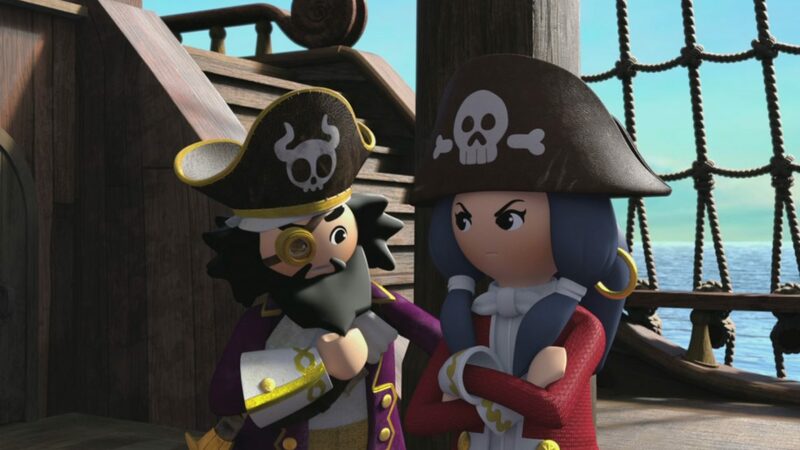 I believe that this show will intrigue kids with its cute characters and interesting plotlines. It will get them excited about learning, music and physical fitness. It will help parents teach their kids about spelling, grammar and phonics while keeping them hooked and wanting to learn more. 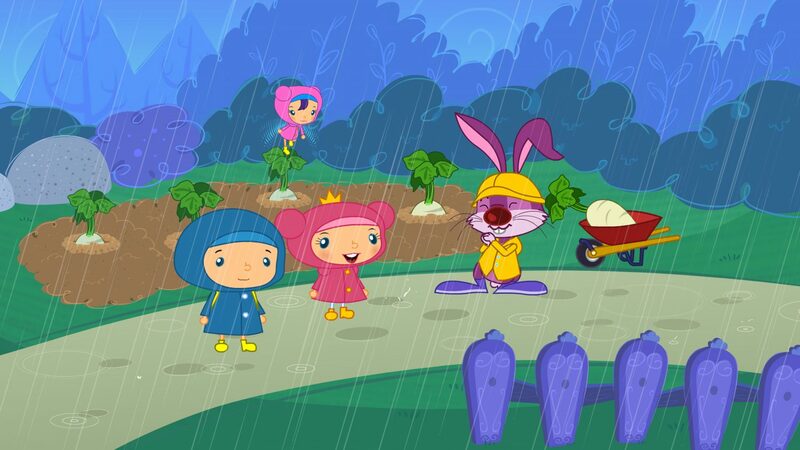 This show offers quality entertainment for young children who need to be introduced to the alphabet. Parents can feel confident about using this DVD to enlighten their little ones about the English language. It is available on DVD now so, check it out. Learning can be fun! 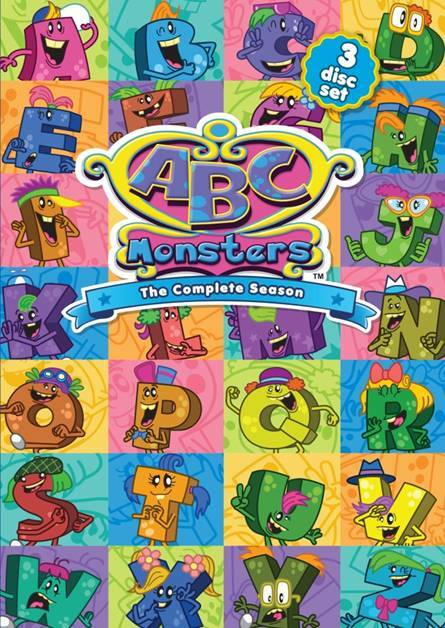 ABC Monsters: Complete Season DVD is q uite an exciting tool for learning the alphabet, learning new words large and small, solving puzzles, writing, learning about directions (north, south, east, west) and the characters teach children about the importance of teamwork. This series concentrates on the alphabet in a fun, lively and energetic way. It also helps with counting. Young children will enjoy singing along with Alice, Brian, Cherry Berry and all the letters when they sing the alphabet song. 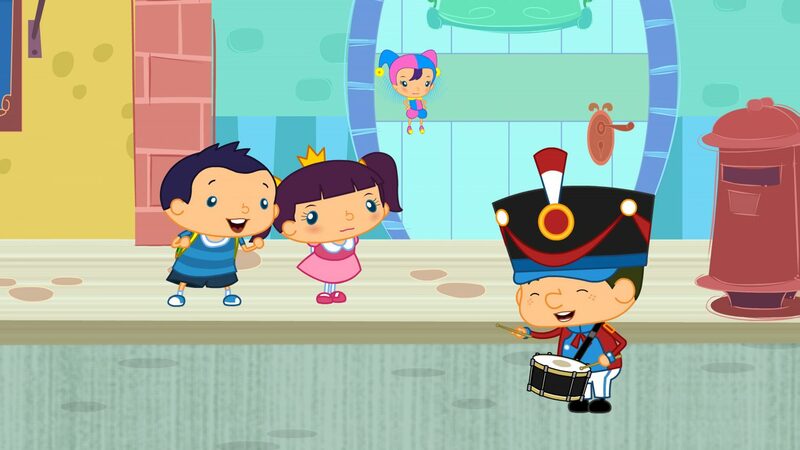 The song is repeated twice in each episode, bringing the audience back to the original focus of the show – learning the alphabet, writing the letters and learning new words. Each letter comes alive with their colorful outfits, colorful hair, hats, clothes, eyes and funny looking feet and hands. 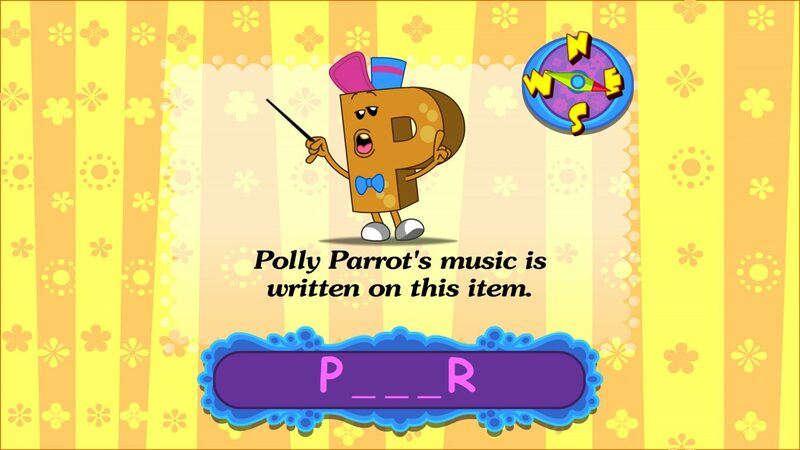 The songs also help with learning the alphabet, as well and learning new words, and finding the missing letters in the puzzle clues. I enjoyed watching this series and rate it 5 out of 5 stars. I recommend it for ages 4 to 8. I know these kids will love this series. 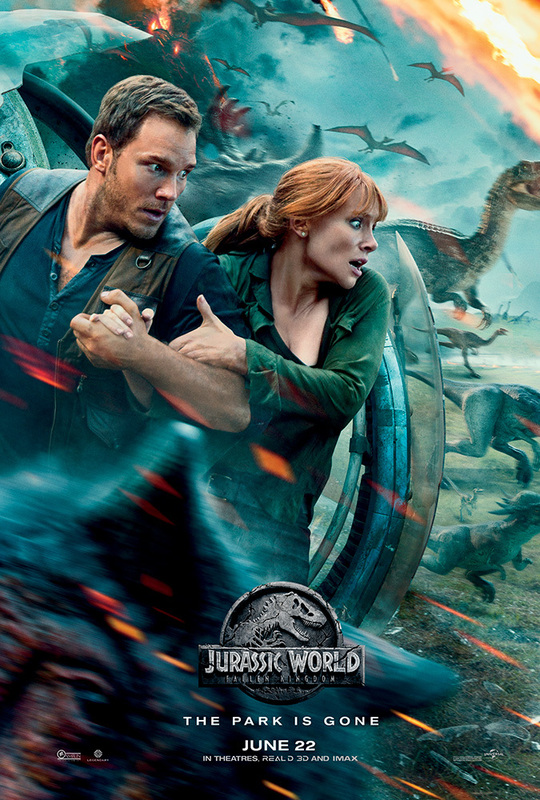 Posted in Feature Film Reviews | Comments Off on Jurassic World: Fallen Kingdom – Genuinely entertaining! Great performances and outstanding visuals. 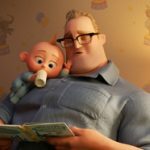 The same voice actors play the same characters in The Incredibles and Incredibles 2 except Dash Parr, played by Huck Milner. 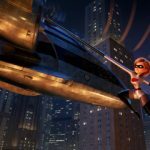 It made me feel as though no time has passed since I was a young child watching The Incredibles. 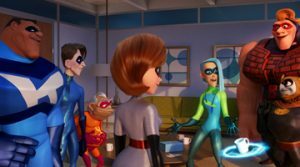 When I was watching this film, I didn’t realize the actor was different for Dash. He has the same childish innocence and humor in his voice, as well as Dash’s famous sarcasm. 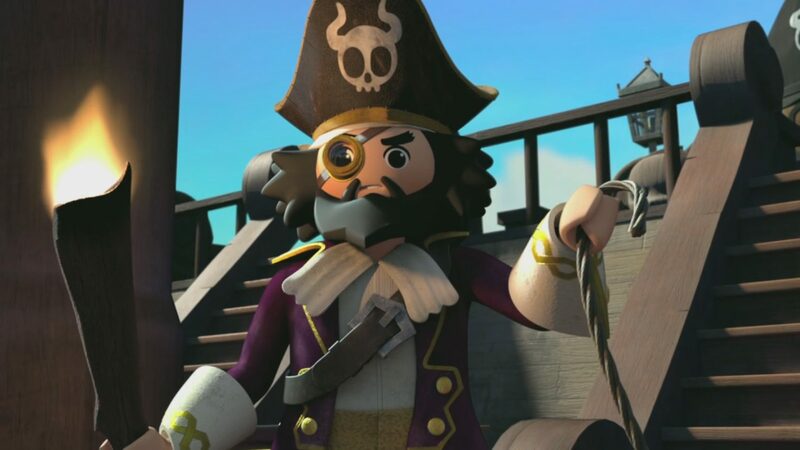 Due to the fact that the same cast plays the same characters fourteen years later, Craig T. Nelson’s voice is more raspy, but it adds an element that elevates Bob Parr’s character. 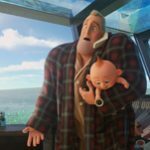 Bob is a lot more exhausted throughout the film and the raspy addition makes the character feel realistic and relatable. 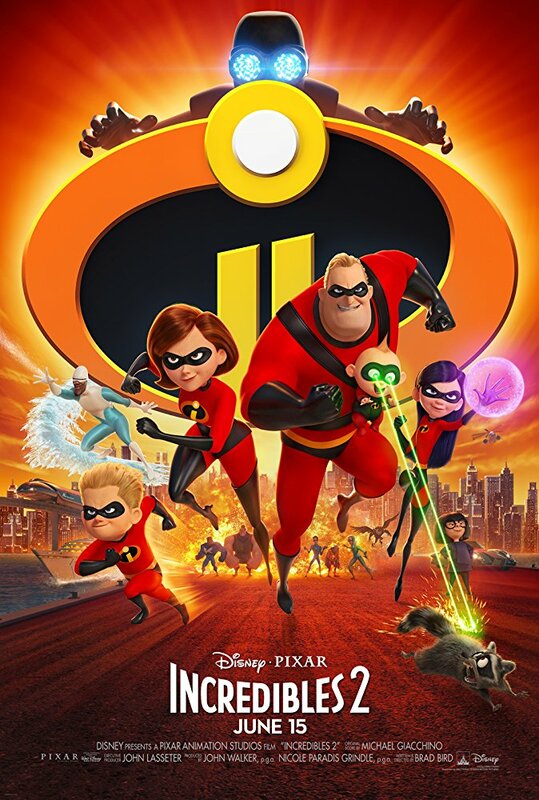 Images ©2017 Disney•Pixar. and ©2018 Disney•Pixar. All Rights Reserved. 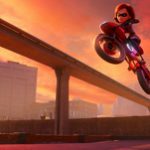 Posted in Feature Film Reviews | Comments Off on Incredibles 2 – Great Sequel! Worth the Fourteen Year Wait! 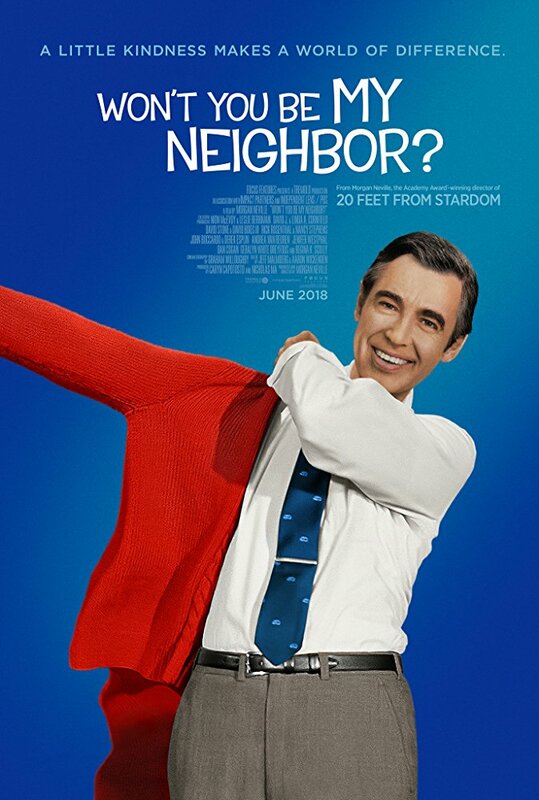 Posted in Feature Film Reviews | Comments Off on Won’t You Be My Neighbor? – The Best Documentary I’ve Ever Seen! 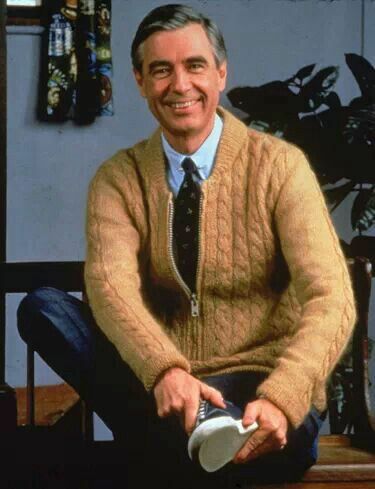 I Still Hear Its Catchy Theme Song In My Head.